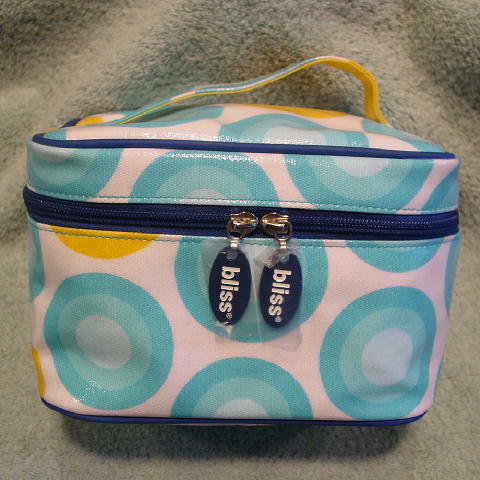 This never-used vinyl makeup bag/toiletry case is by Bliss. It has a zipper opening which extends from one side to the other so you can flip the top open and there is a logo zipper pull (still covered in plastic) on each side. There is what resembles a bullseye pattern in blues and yellows on a white background. There is a yellowish dye stain (probably from the yellow bullseyes) on one of the top back blue bullseyes. The top has a 1" wide handle with a 6 1/4" long hand opening. 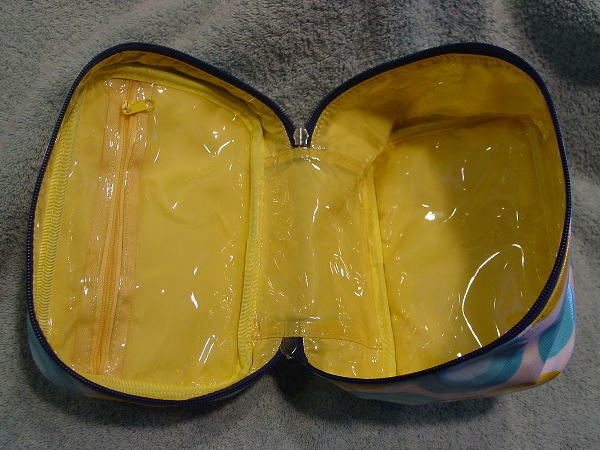 The yellow fabric interior lining (except for the upper interior zippered pocket) is covered in clear plastic. 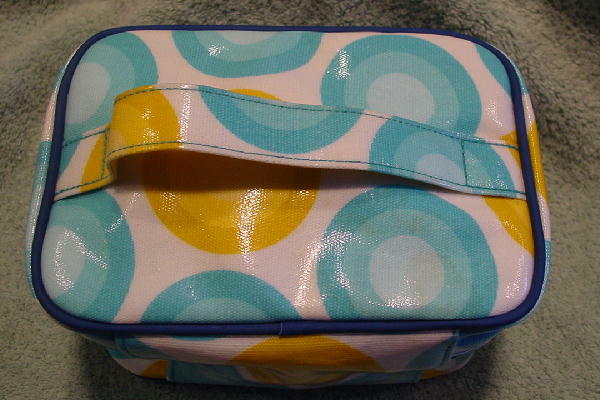 The inside of the lid has a large zippered pocket. It can also be carried as a cute little purse. It's from a stylist's inventory.